I have just finished a nice varied six days of work. 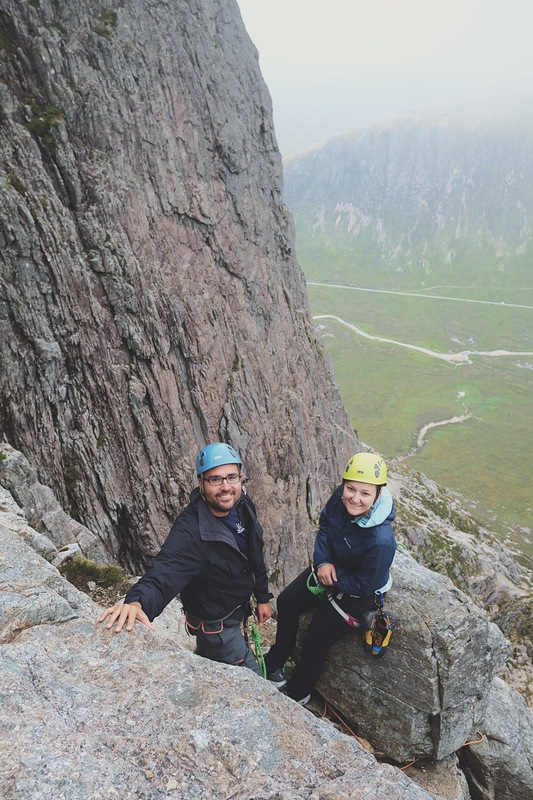 Last weekend I was out with John and Beth both interested in learning about leading rock routes so they can climb a little more independently. 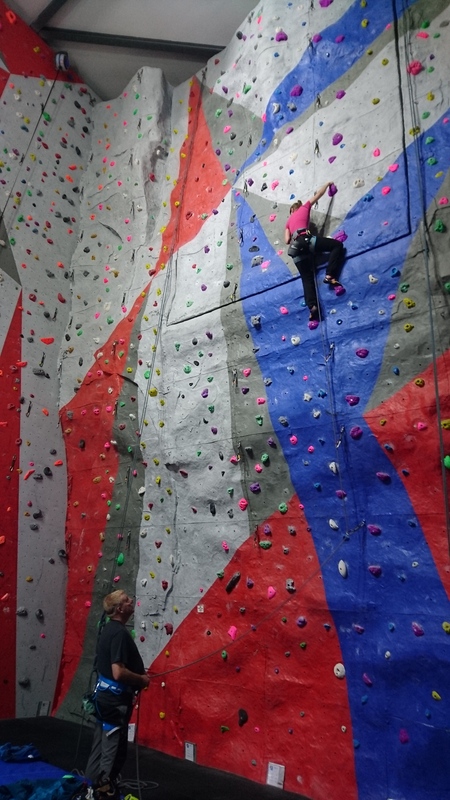 John and Beth have been to climbing walls in the past, mainly focusing on top-roping so our first day was spent in the Ice Factor looking to break that mould. 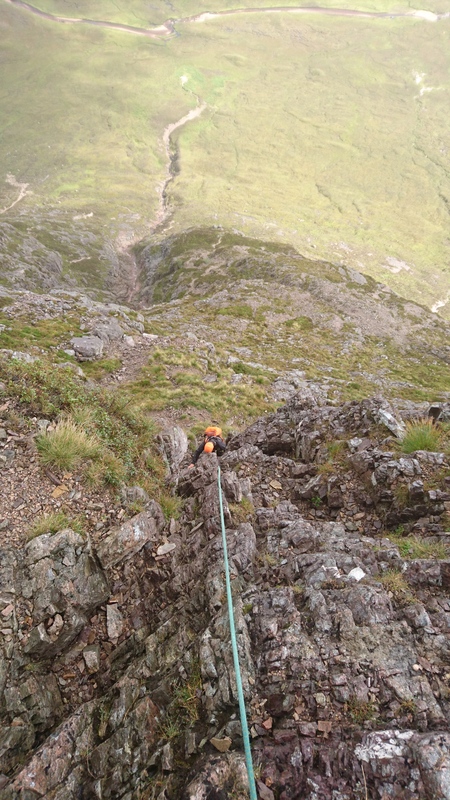 It was a nice progressive day which finished with Beth taking some pretty impressive leader falls; all in control of course. 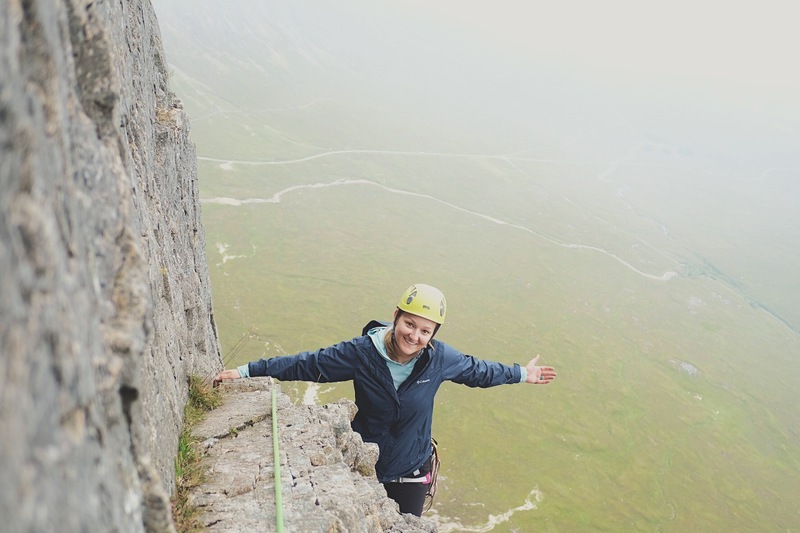 Day two was spent at Kingussie Crag with John and Beth abseiling and leading up to VDiff for themselves, the midge were out in force – enough to add a grade! 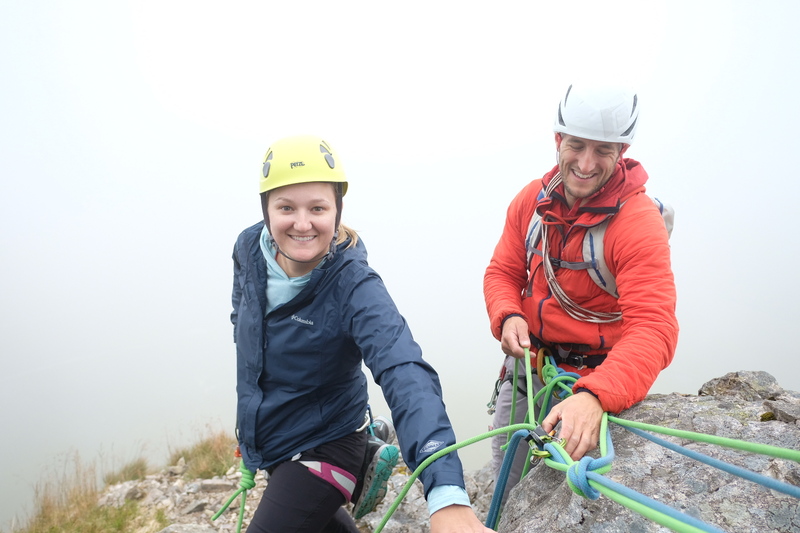 Monday and Tuesday I was working for West Coast Mountain Guides, two days of guiding for Jess and Dave who are visiting from the United States. 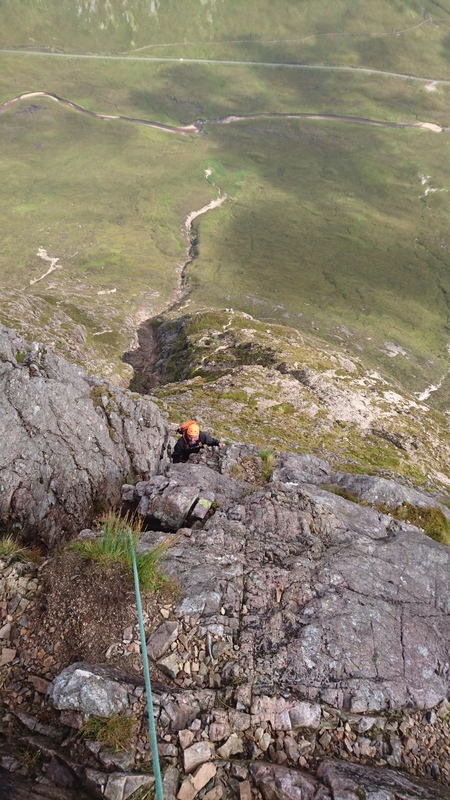 We risked a 50/50 forecast by heading to Raonach Wall to climb the three star Agag’s Groove. 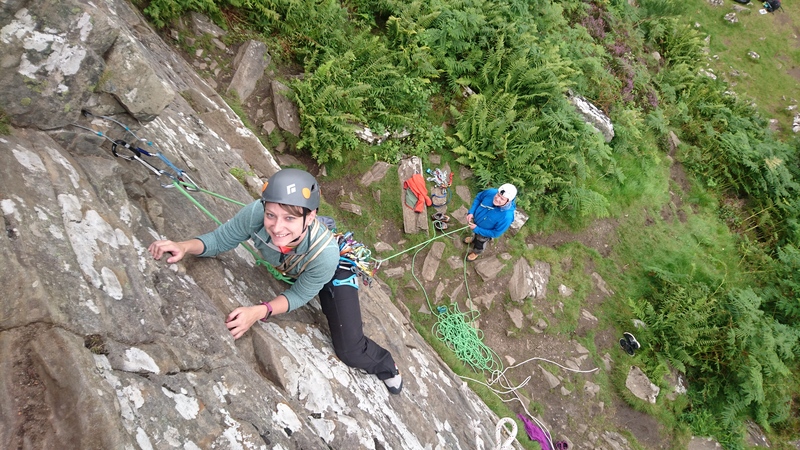 The third pitch never disappoints but I did note a block missing just above the crux moves, hopefully not a sign of winter ascents and quite possibly the result of all the rain we have had! 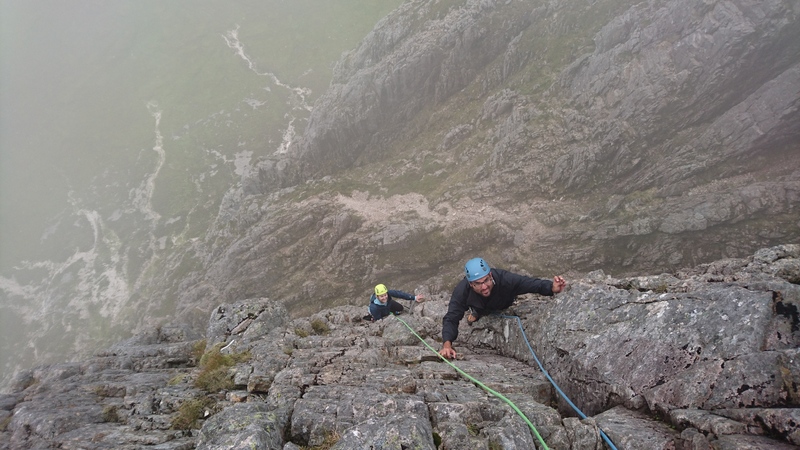 Tuesday with slightly sore muscles we made a half attempt to climb Castle Ridge on Ben Nevis but retreated under the heavy rain for a session at 3WM Climbing wall. 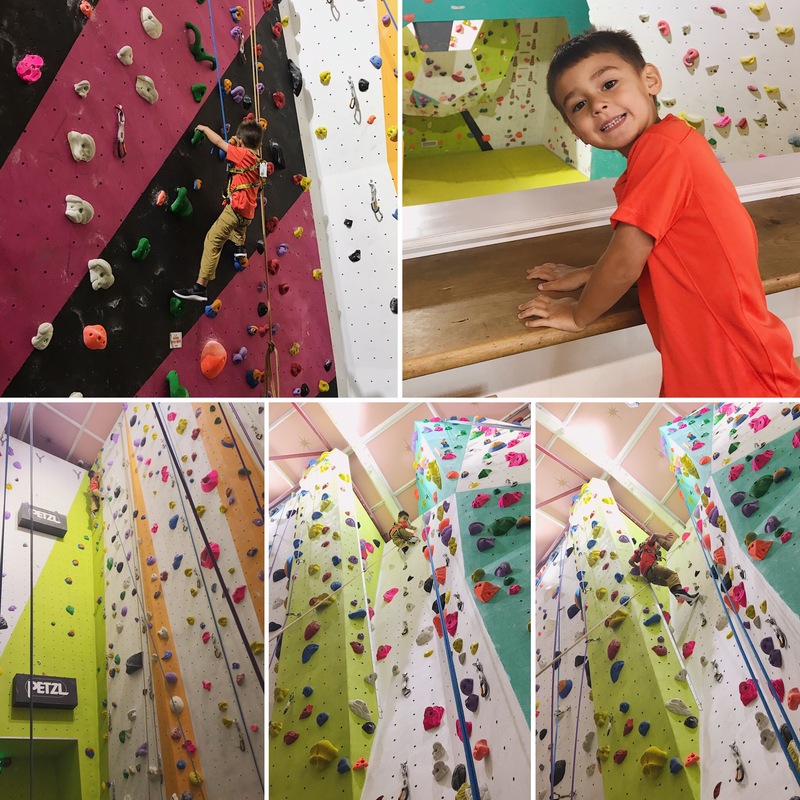 Here David and his son; 4 year old Eli pulled out all the moves and had a great time running up and down the routes in the dry. 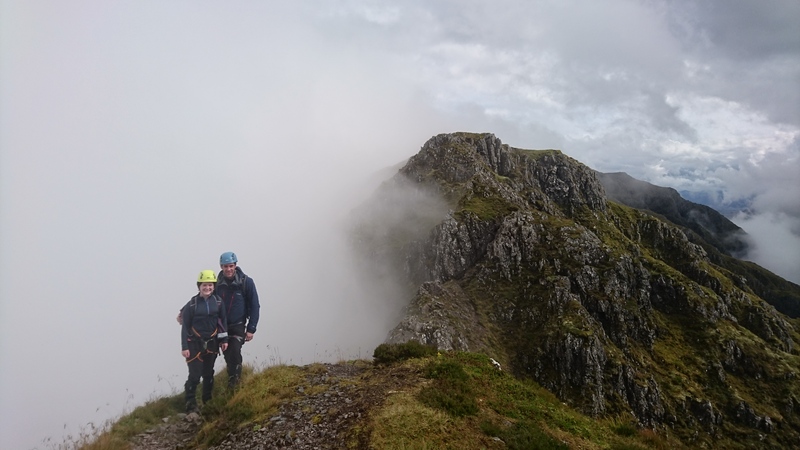 Yesterday was Roz and Richards turn for an adventure on the Aonach Eagach, no finer way to celebrate Richards 40th Birthday! 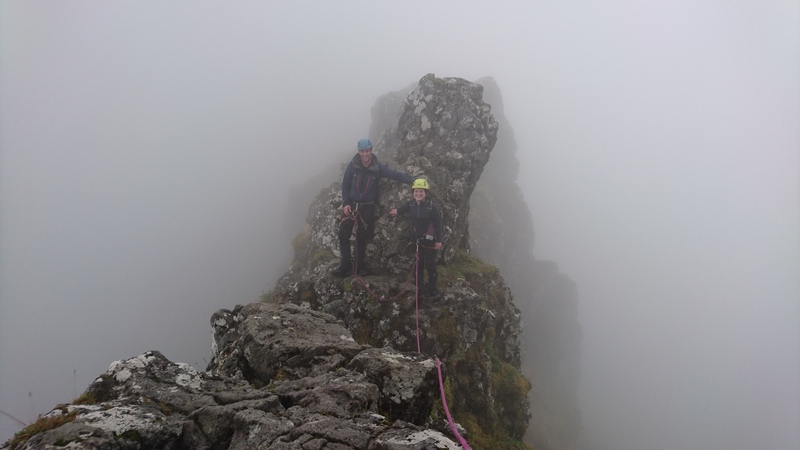 We had a delayed start to miss all the heavy rain which actually turned out better than anticipated with a non-waterproof day – unheard of this summer…… Roz and Richard cruised along the ridge in great time, enjoying the scrambling and moody views through the swirling mist. 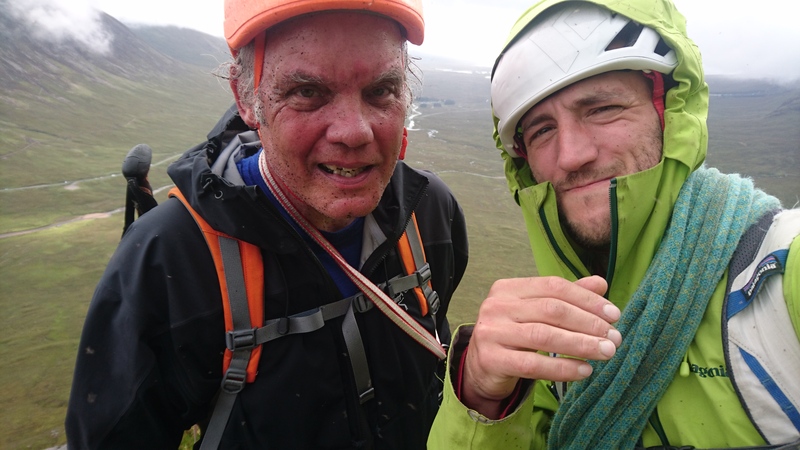 Finally today I have been guiding Neil up North Buttress on Buachaille Etive Mor; a wet weather alternative to the planned rock climbing over on Argour. 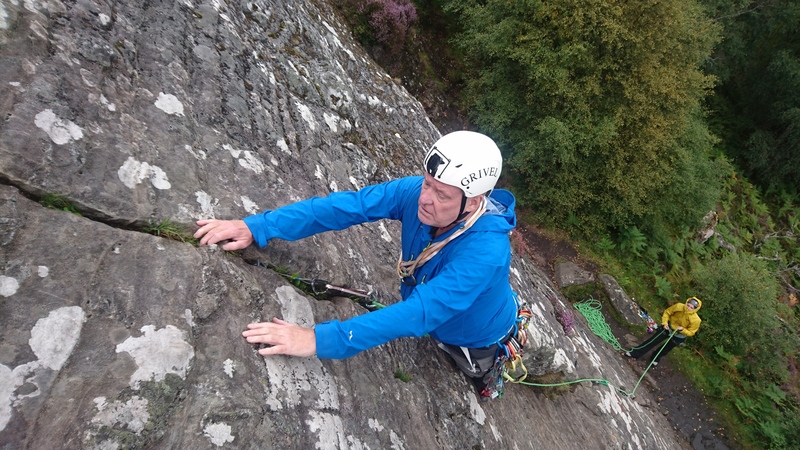 I think Neil was surprised at how good the route is despite me calling it a consolation route! The midge were unbearable for a time and poor Neil got a pure mauling, zoom in on the photo of his face below – grim! 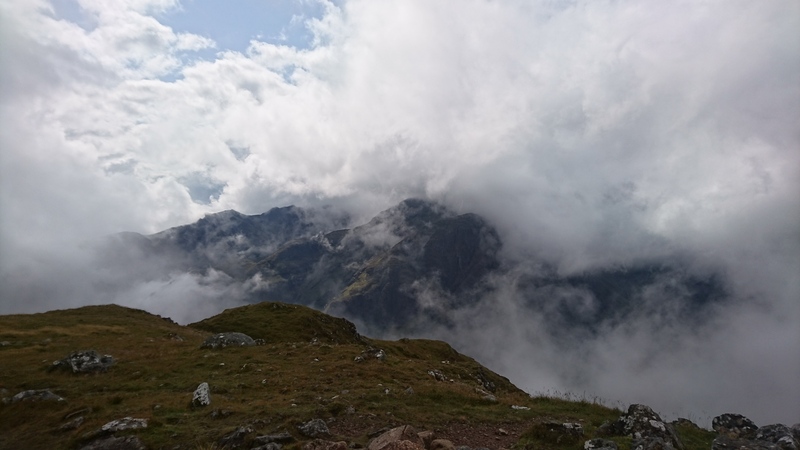 Off on holidays now in search of dry rock, scones and cider – any guesses?